I have to convert/move over 100 diagrams from Visual Paradigm to Bizagi. 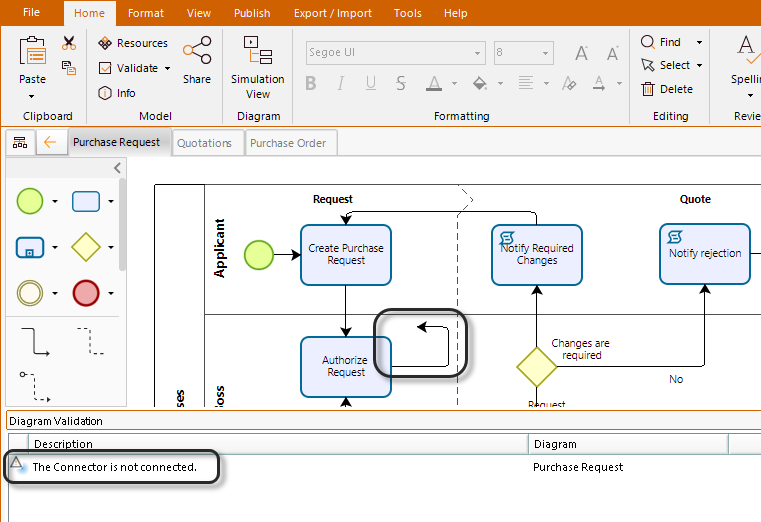 Bizagi accepts only Visio, XPDL and BPMN files format, so I decided to do this task in 2 steps. 2. Second step - move diagrams from EA to Bizagi via XPDL file. And in the second step I stuck. Bizagi does not accept a file. We require a copy of any of those diagrams. Can please send us one in XPDL standard in order to analyse and do some tests. Thank you, that you want to help me with this task. I did not answer to this post ealrier, that I sent an email last Friday to 'modeler@bizagi.com' with such a diagram. It works - I can import xpdl file from EA. Thank you very much for your & product team help. "Error message were found validating the Model. Do you want to save anyway?" After that I can work on that model, and save it again (and there is the same message again). Is it possible to resolve it? Or is it just not important error and we can work on it without any negative impact. The message that you have is because you have a problem in your diagram. Bizagi Modeler has a feature to resolve it. Bizagi includes a button that validates the element's location. and connections. On the Home tab, in the Model group, click on Validate to start error checking. Select the error description in the Diagram Validation add-on window in order to correct it. Bizagi Modeler does not validate the notation and the logic used in your diagram. However we offer several types of support to help you through your process modeling and documentation. For more information please refer to Training and Support. thank you for explanation this issue.